Sensei Dev has been training in martial arts since 1971. He has trained in contact karate, shotokan karate, amateur boxing, kick boxing and spent a short time in Thailand on an intensive Thai boxing course. 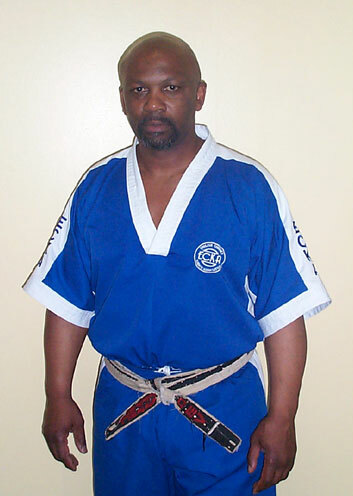 Sensei Dev has been a professional Karate instructor since 1982, and opened his full-time gym in Coventry in 1984. 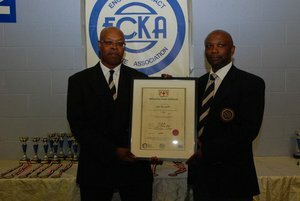 Sensei Dev was a founding member of the BAFCA (British Amateur Full Contact Association) and the ECKA. Sensei Dev is currently the WAKO GB Director of All Ring Sports and the Coach for the GB Full Contact squad. Prior to this, Sensei Dev was also a member of the EKGB Technical Committee for over 5 years. In the year 2007, Sensei Dev was awarded his 7th Dan Black Belt by Kancho Henk Kuipers. Following this, he was awarded his 7th Dan Black Belt by the ECKA/EKF in 2010. He is an International Referee and Judge for both semi and full contact. He is also an EKF Assessor for instructor qualifications and NVQs. Sensei Dev’s hobbies include Chess, learning to play the guitar and he also holds a private pilot licence. Sensei Dev teaches in the centre of Coventry at his permanent full-time gym. For more information, see the Dev Barrett’s Karate Club website.